Welcome to Westside estates! 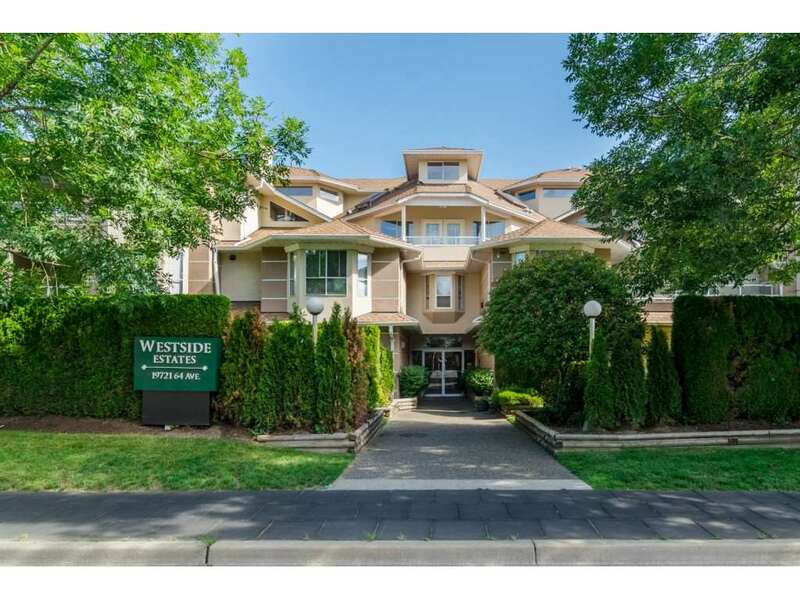 Amazing opportunity to own 2 bedrooms, 2 baths, top floor penthouse with vaulted ceilings with lots of updates, including new gas fireplace with mantle and stonework, updated flooring throughout the main living area, new counter tops in kitchen, new dishwasher plus sink and faucet. Both bathrooms have been recently renovated. The building is super well-maintained. Comes with 2 parking and storage locker which are conveniently located on the same floor for easy access. Bonus!! Gas and hot water included in strata maintenance fees. This building is also a walker's paradise, with Earls and Sammy J's, Real Canadian Super Store, transit and Willowbrook Mall steps away!!! Pets allowed.